March in Hong Kong is all about art. But in among the literally hundreds of creative events taking place around town this month – everything from large-scale global art fairs to independent gallery exhibitions and public art displays – it can be hard to know where to start. Here are the mustn’t-miss Hong Kong art events to tick off your list this month. 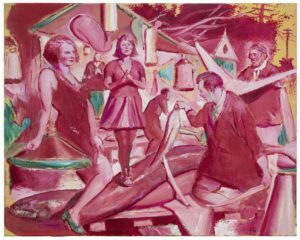 Propaganda marks Neo Rauch’s debut solo presentation in Asia and features fifteen new paintings—eight large-scale canvases and seven smaller, more intimately scaled works. Rauch is widely celebrated for his visually captivating compositions that bring together the traditions of figurative painting and surrealism into an entirely new kind of visual experience. The show marks Rauch’s eighth solo exhibition at David Zwirner, where he has been represented since 2000. Accompanying the exhibition is a catalogue featuring a short story by novelist and playwright Daniel Kehlmann. David Zwirner is pleased to present four new works by Carol Bove at its booth in Art Basel in Hong Kong, the gallery’s seventh consecutive year at the art fair. Bove is known for her assemblages that combine found and made elements – incorporating a range of domestic, industrial, and natural objects, her sculptures, paintings, and prints reveal the poetry of their materials. The four new works presented at David Zwirner’s booth belong to Bove’s ‘collage sculptures’, an ongoing body of work that began in 2016. 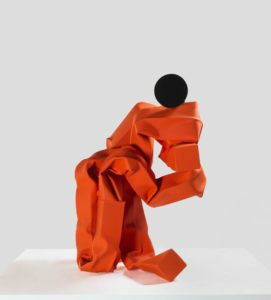 Characterised by compositions of various types of steel, these sculptural assemblages combine theoretical and art-historical influences across time periods and disciplines, much like the Chicago Imagists of the 1960s, whose collagist aesthetic combined disparate styles and techniques. Following this presentation of Bove’s work, the gallery will present her first solo exhibition in Asia at David Zwirner Hong Kong in November this year. Hong Kong Arts Centre (HKAC) presents the 5th Collectors’ Contemporary Collaboration at the Pao Galleries, Hong Kong Arts Centre. 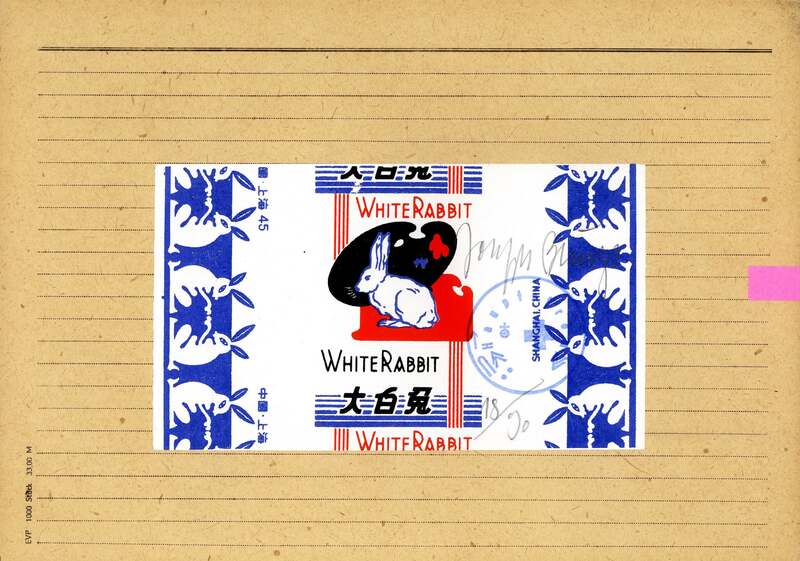 The exhibition explores distinctive collections and Chinese contemporary art archives for audiences to understand the evolution of collecting contemporary art in China. Presenting the collections of three renowned collectors from China – Guan Yi, Lu Xun and Zheng Hao – alongside archives from prominent scholars and curators Fei Dawei and Gao Minglu, the exhibition is curated by Ling Min, associate professor in art history at Shanghai Academy of Fine Arts, Shanghai University. The Collectors’ Contemporary Collaboration provides a platform for the public to understand the role of private collections, offering new perspectives into collecting whilst also encouraging a dialogue around the arts. Hong Kong Arts Centre’s Open House 2019 – Art X Encounter and Late Night Series – Art X will present a series of immersive artistic experiences in an all-day and evening event which will include exhibitions, installations and experiential activities. The event will unite the public with the extended artistic community, as film screenings, music performances, workshops and informal discussions will continue through the evening during this unique 12-hour experience. Tickets for Late Night Series – Art X are on sale now at www.breakuptours.com. Connect with Hong Kong Arts Centre on Instagram and Facebook. An Opera for Animals explores the highly controlled and contrived environment of the operatic setting. From its emotive performances to artificial landscapes, this group exhibition explores how certain operatic devices form the parallels with our contemporary reality and its artificial truths, virtual realities, and the promise of increasingly active development of new technologies. An Opera for Animals explores animals as symbols and devices of representation, considering how the animal spirit connects to ancient beliefs and to futuristic forms. 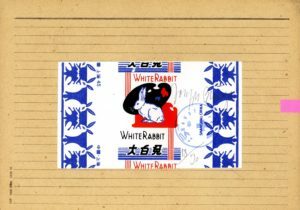 This exhibition is a prelude to a new partnership between Para Site, Hong Kong and Rockbund Art Museum, Shanghai, which will be unveiled in Summer 2019. 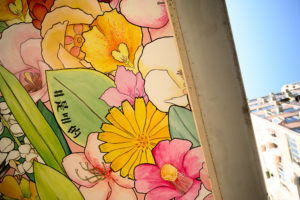 As an official Cultural Partner of ABHK 2019, Para Site offers official, guided tours for the general public around the fair alongside their booth, featuring a solo exhibition by young, emerging and local Hong Kong artist Chan Ka Kiu. Often working with video and painting, Chan creates art that reveals her feelings and imagination surrounding episodes in daily life. 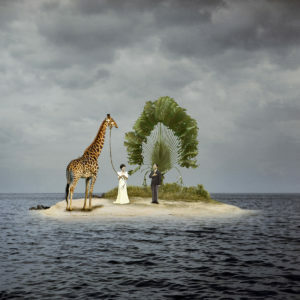 Chan has a penchant for employing ready-made objects or images and incorporating familiar articles or scenes in her works to engage viewers. The exhibition is curated by Para Site Associate Curator, Qu Chang. Publications by Para Site will be available at the booth, including: The Unappropriated Recipes, the institution’s first cookbook and crowdfunded project, and Afterwork Readings/Babasahin Matapos ang Trabaho/Bacaan Selepas Kerja, an anthology of migrant and domestic worker literature conceived in collaboration with KUNCI Cultural Studies Centre in Yogyakarta, Indonesia. This month de Sarthe presents In relation: Performance | Sculpture | Painting, a new site-specific performance and solo exhibition by celebrated French artist and sculptor Bernar Venet. One of today’s most important conceptual artists, Venet will travel to Hong Kong to create new works for this exhibition with a series of performances at the gallery on Monday 25 and Tuesday 26 March, and the resultant exhibition will continue until 18 May. This will be the artist’s third exhibition in Hong Kong, and follows the 1995 showing of the artist’s work at the Hong Kong Cultural Centre, and a display of seven monumental sculptures presented in collaboration with de Sarthe along the Hong Kong harbour in 2012. 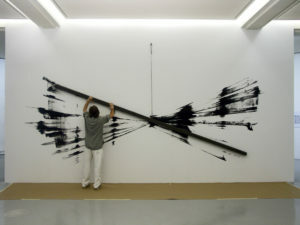 In relation: Performance | Sculpture | Painting by Bernar Venet, 27 March – 18 May; de Sarthe, 20/F Global Trade Square, 21 Wong Chuk Hang Road, Wong Chuk Hang. Connect with de Sarthe on Instagram and Facebook. Design District Hong Kong brings colour to the streets of Wan Chai. Design District Hong Kong (#ddHK) is presented by the Tourism Commission, organised by Hong Kong Design Centre, and with the support of strategic partner Hong Kong Animation & Comic Federation for all programming related to local comics. The three-year creative tourism project will see six brand-new #ddPlace activations installed around Wan Chai from March. #ddHK will collaborate with creative partners One Bite Design Studio and HKWALLS to inspire Hong Kongers and visitors to discover and appreciate creative design collaborations, encourage multi-functional use of public spaces and develop connections with the community deep-rooted in artistic placemaking through a series of design forms. Key #ddPlace activations to look out for include: #ddExperience and #ddGathering, large-scale outdoor installations of multi-functional public furniture sets at Fleming Road Garden; #ddWalk, graphic design representing Hong Kong’s four seasons along O’Brien Road Footbridge; #ddSmile and #ddFresh, creative design at O’Brien Road and Luard Road tram stops and tram lane; and #ddPaintHKWALLS, murals in public areas around the Wan Chai district. Design District Hong Kong, Wan Chai District; Open 24 hours, free to public. Connect with Design District Hong Kong on Instagram and Facebook.